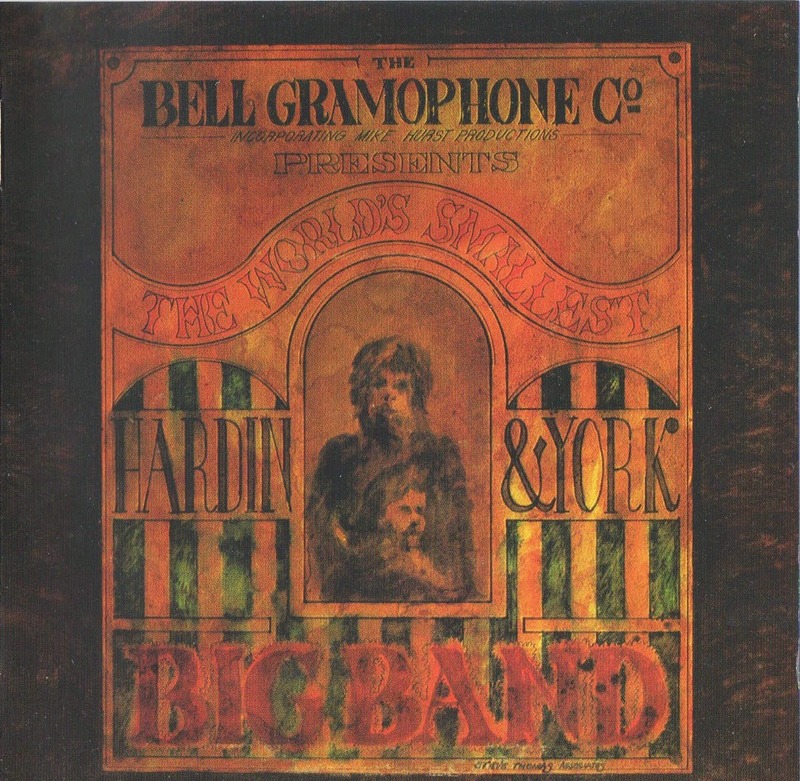 The band's second studio album - "THE WORLD'S SMALLEST BIG BAND" - was taped at Olympic and De Lane Lea, although, as with their first, they still got the whole thing wrapped up inside a month. Some of the material had been stockpiled since their inception back in 1969 but with the pressures of touring, the sessions were hard work and the album wasn't as coherent. Side one kicked off with three singer/songwriter performances, Eddie using piano rather than Hammond, followed by an abrupt change of mood as wild cheering heralded the start of a rock & roll medley which they'd decided to tape in front of an invited audience (of 'Soho deadbeats' as the liner notes put it!) This was followed by a lengthy drum workout titled, "The Pike", the nickname of their head roadie (it was he who had pulled off the snow filled amps trick mentioned earlier). There were no guest musicians either, although Eddie remembers Jon Lord and Tony Ashton hanging around the studio at the time. Singer (and sometime Penthouse star) Dana Gillespie was also about, though only in her capacity as manager Ian Smithers' girlfriend. The results were issued in the then obligatory gatefold sleeve in 1970, again on the Bell label (SBLL 136). So big were the band in Europe by now that they fell prey to bootleggers. "We were playing in a German Youth Centre," Eddie explained, "and the director asked if we would mind if his film club made a film of our show. It seemed OK. The next thing we knew was that an album had been released of the show. The filming had all been a cover to record a bootleg." 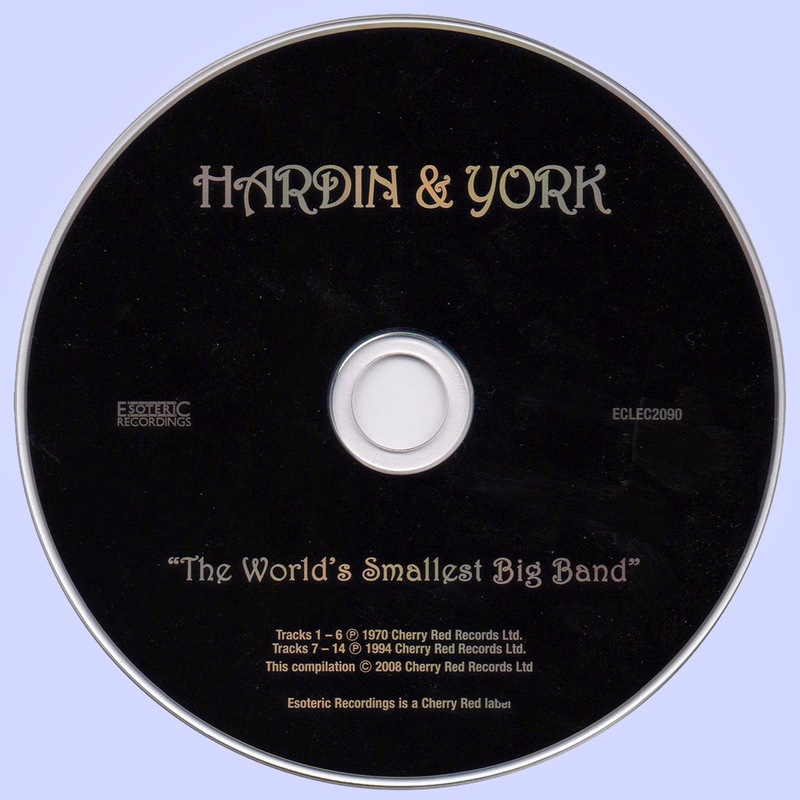 Titled, "The Hardin & York Bootleg", copies were imported into the UK in early '71 with the first wave of European vinyl bootlegs. The year flashed by in a blur of touring, and the new year looked set to be the same with Hardin & York booked to support Deep Purple on their February '71 UK tour. During the set, Purple's drummer Ian Paice took the chance to play alongside Pete York on a number called "Extension 345", an idea inspired by an Elvin Jones/Ginger Baker fiasco which York had witnessed. "That situation was contrary to the principals of entertainment, so Ian and I decided to show how musicians can work together and forget egos," Pete told a journalist. In March '71, Hardin & York booked the Bumpers club for a marathon music "all star jam" session. By this time, both Eddie and Pete had their own bands with which to let off steam outside the confines of the duo. There was The Pete York Percussion Band, with vocalist Eric Dylan, guitarist Miller Anderson (from Keef Hartley's band), plus a brass section. Eddie's outfit went out as Hardin/Fenwick/Newman. The idea of the Bumpers show was to include slots by both offshoots, then finish with a Hardin & York set. At one stage they ended up with three drummers - Pete, Ian Paice and Keef Hartley - on stage together for a marathon version of "The Pike".